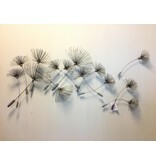 Dandelions is a handmade wall decoration that shows the floating seeds of a dandelion. It is an open and playful object in which the three parts can be arranged at your own discretion and in any direction. 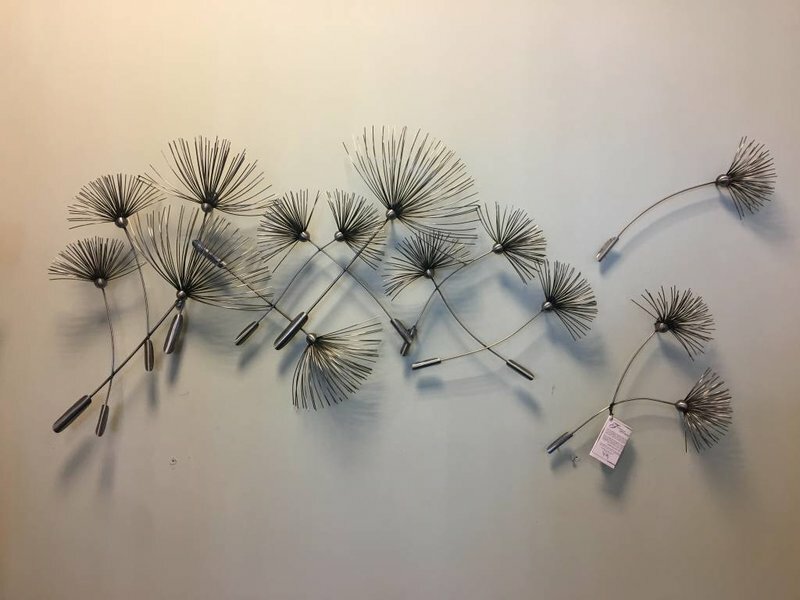 Dandelions is made of steel, partly tinted. 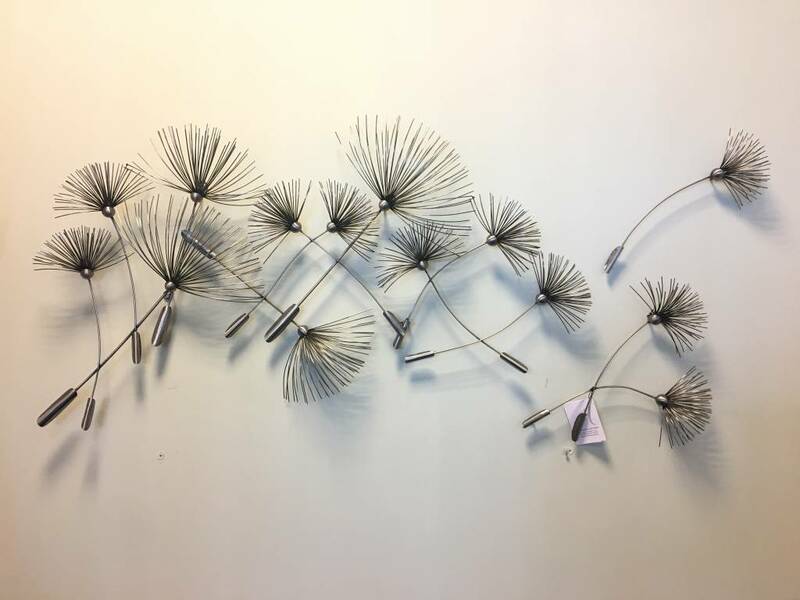 Dandelions is a handmade metal wall sculpture, which fits in any interior. 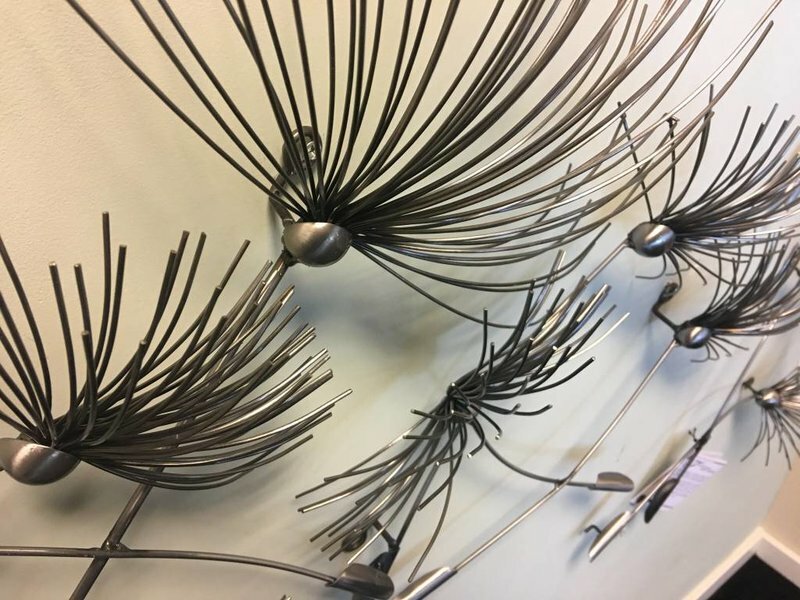 This beautiful sculpture is a statement of the type of talent and craftsmanship Jeré displayed through the design and execution of his artwork. Each piece is unique. The use of mix metals and creativity that inspired Jeré is astounding, he took any everyday situation or creation and turn it into a piece of art making us see things in a different perspective. 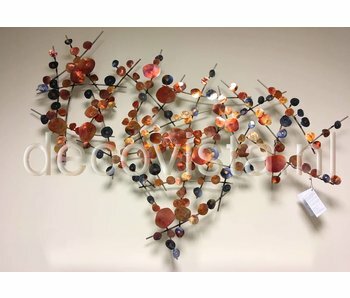 This wonderful wall piece does just that. 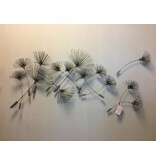 Dandelions is a handmade wall decoration that shows the floating seeds of a dandelion. It is an airy and playful object in which the three parts can be arranged at their own discretion and in any direction. Dandelions is made of cold-formed steel, which is partly tinted. Please contact us for the shipping costs if at check-out no shipping options for the destination country are offered. 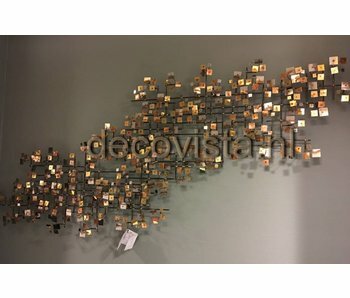 Attraction is a metal, three-dimensional wall decoration, refined and warm in color. Handmade of heat-treated steel and copper. Size: approx. 120 x 80 cm. Signed with certificate. 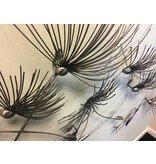 Urchin is a famous design by C. Jeré. 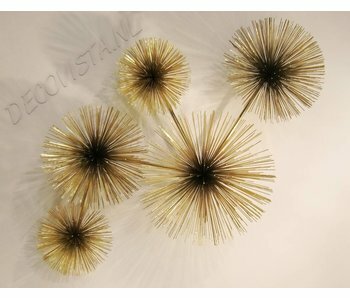 The compact prickly sculpture consists of five spheres of different sizes, composed of thin brass pens. Their shape is that of a sea urchin. Sizes approx. 100 x 65 x 25 cm.